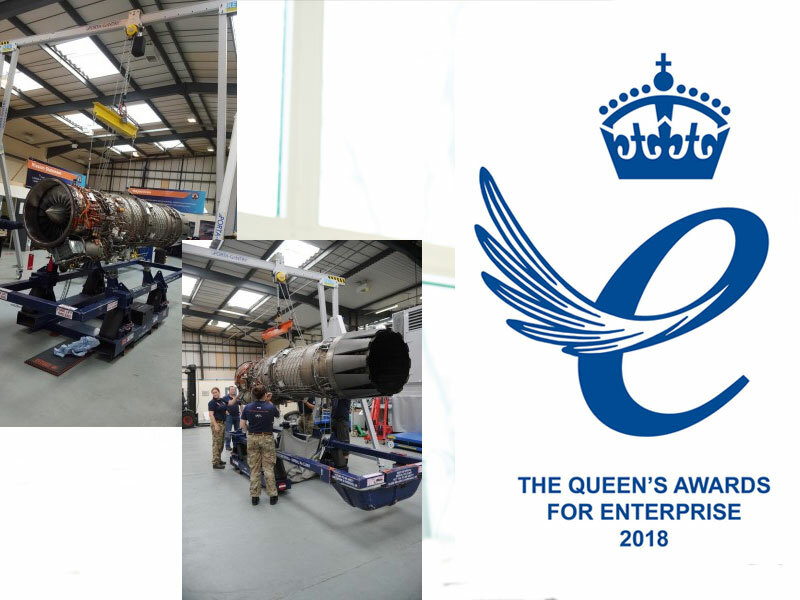 Chepstow-based Reid Lifting, a manufacturer of lightweight gantry and davit cranes, is this week celebrating, having claimed it’s fourth Queen’s Awards for Enterprise. The accolade was given to the Welsh firm for their outstanding achievement in international trade over the last three years. Reid, which has been trading since 2000, received an initial award for innovation six years after inauguration before a double success, in the same category in addition to recognition for international trade, followed in 2013. The latest Queen’s Award, one of the highest accolades a UK business can receive, is a testament to continued global expansion with the company likely to confirm that over 50% of sales came from overseas in the latest financial year. The Queen’s Awards cover a number of categories, including international trade, innovation, sustainable development, and promoting opportunity through social mobility. Winners are invited to a Royal reception at Buckingham Palace, hosted by The Queen. They will be familiar surroundings to Battersby, who met Her Majesty following earlier successes. Two key criteria that Reid had to meet in its latest application were that the organisation had achieved outstanding growth in overseas earnings relative to its size and sector, and steep year-on-year growth (without dips) in overseas sales over three years. All applicants must also be prepared to provide written responses to targeted questions and share financial data. A review and independent audit by an accountancy firm places that information under close scrutiny, Battersby said. Emphatically, Reid submitted supporting evidence of three years of consistent growth in exports, with 66% growth over the last two years, while in the same period total turnover grew by 34% to £5.1 million. Further, exports represented 49% of sales in the 2016 / 2017 financial year—and continue to swell. Diversification of lightweight gantry and davit cranes in multiple sectors has been integral to gazelle-like growth, including wastewater treatment; construction; equipment hire; oil and gas; and cleanrooms, such as museums. Reid product and expertise has been applied to applications in Europe, the Middle East, the Far East, North America, and Australia, to name just a few geographical hotbeds. Award winners are presented with the accolade by one of The Queen’s representatives, a Lord-Lieutenant, at their facility where they are also permitted to fly the Queen’s Awards flag, and use the emblem on marketing materials. Finally, they are given a Grant of Appointment and a commemorative crystal bowl.